lenNY's Yankees - A Bronx Bombers Blog: Old Yankee Stadium rebuilt! 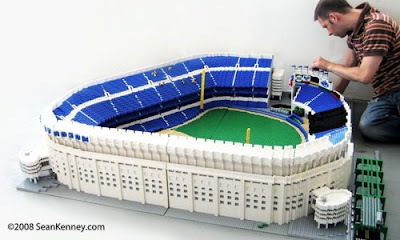 Despite the dreadful video of the old Yankee Stadium seats tumbling to the ground yesterday, Sean Kenney decided to rebuild the stadium brick by brick — Lego brick, that is (via IIATMS). This was my dream growing up, and I’m not kidding at all.